D.C. Mayor Muriel Bowser speaks at press conference on June 15, 2017. With D.C. primaries less than four months away, Mayor Muriel Bowser is giving voters less reason to vote her into a second term. The problem is, of course, she has no credible challenger. We are headed for a coronation in what is allegedly a democratic system. “Some competition might be a good idea,” was Council member David Grosso's understatement on Friday’s WAMU Politics Hour. Which begs the question: 45 years into limited self-government under the Home Rule Act, are we in need of a course correction? Is it time to double the size of the Council to give aspiring leaders more opportunity and voters more choices? 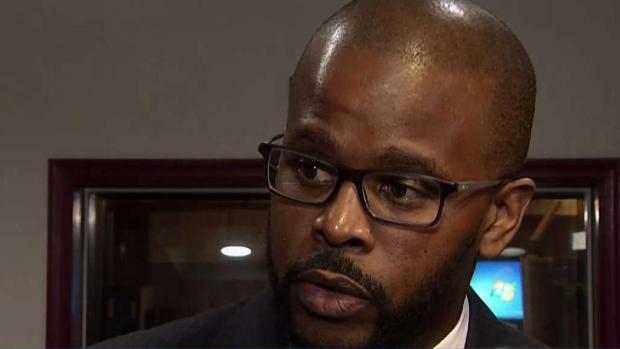 D.C. Public Schools Chancellor Antwan Wilson has resigned after he bypassed the highly competitive public school lottery system to get his daughter a coveted seat at a top high school. News4's Shomari Stone reports. When Bowser ran for mayor for four years ago, she made many promises but concentrated on three: strengthen school reform begun by her mentor, Adrian Fenty; improve the economy in downtrodden neighborhoods east of the Anacostia River; and increase transparency and ethics in a government that had been accused of fostering pay-to-play contracting under a veil of secrecy. On improving the District’s public school system, which is under mayoral control, Bowser’s grades have been falling fast. School reform has ground to a halt; the system is leaderless and has been beset by scandal. The mayor touted DC Public Schools' high school graduation rates until she had to face reports last November that principals were graduating students who rarely showed up at school -- not just at Ballou High School, where reporters exposed the questionable diplomas, but across the city. The mayor, who controls the schools, was shocked. She was surprised, as well, in mid-February when the inspector general’s office told her school chancellor Antwan Wilson had circumvented his own rules and bypassed 700 students on a waiting list to get his daughter into Wilson High School. Bowser was familiar with high-ranking members of her administration going around the lottery system to place their kids into coveted schools. City Administrator Rashad Young and Deputy Mayor Courtney Snowden got their children into prized schools without going through the system that mere mortal residents had to use. Bowser ignored calls to fire Young and Snowden. Might that work with Wilson? The mayor disclosed the chancellor’s maneuvers on Friday, February 16. She waited over the weekend, apparently hoping it would blow over. Parents and Council members called for his resignation. She waited. On Monday she told reporters she maintained confidence in Wilson. Pressure failed to subside. He resigned the next day. “There are too many tough decisions in the coming months to have any distractions,” Bowser told reporters. But the damage was done -- to mayoral control. One of those “decisions” will be the appointment of a new chancellor. Ward 3 Council member Mary Cheh suggested the Council should play a more active role in selecting a new leader, bringing Bowser’s leadership of the schools into question. “We have not closed the achievement gap,” at-large Council member Elisa Silverman said. Bowser vowed to close the gap in economic opportunity that has concentrated the urban ills of crime, poverty and unemployment in neighborhoods east of the Anacostia River. She promised to appoint a deputy mayor to concentrate on underserved Ward 7 and Ward 8. That never happened. Instead she appointed Snowden Deputy Mayor for Greater Economic Opportunity, gave her an office in historic downtown Anacostia, and asked her to help lift the fortunes of communities east of the river. Have Bowser’s efforts been successful? “Not that I can see,” said Jauhar Abraham, an activist, businessman and part-owner of Cheers, a restaurant on Martin Luther King Jr. Avenue. Council members and other community leaders agree. “The money is here for the projects to rebuild our community, but there’s no local participation – on the development or labor side. “The benefit to the community is sorely lacking,” he added, after meeting with Bowser. Bowser said crime is down east of the Anacostia, which is true for the past year, but residents say they still live in fear. Metropolitan Police Department statistics show an increase in homicides, robberies with a gun and assault with a deadly weapon in the past two months. “The mayor has no political support over here,” Abraham said. When it comes to open government, the mayor says she supports transparency, but not when it comes to protecting Traci Hughes, the first director of the Office of Open Government. After Hughes -- a veteran, well-respected public official -- took action against two boards controlled by the mayor for violating the Open Meetings Act, the board overseeing Hughes voted not to renew her contract. That board is also under Bowser’s control. The net effect was to oust a leader who had built a reputation for upholding the District’s fragile transparency laws. Barring a last-minute challenge, Bowser will not have to answer questions about schools, economic development or transparency in the heat of a reelection campaign. It appears Bowser will skate. It’s true that three likely opponents faced criminal charges rather than voters. Rising politicians Kwame Brown, Michael Brown and Harry Thomas Jr., could have kept rising in the political hierarchy. And it’s true that the D.C. Council has a bevy of promising public officials, but that still doesn’t explain why Bowser seems to be running unopposed. That would never happen in New York, Philadelphia, Los Angeles, Baltimore or any self-respecting U.S. city. So, why here? First, the District is a one-party town. Three in four registered voters are Democrats. There is no Republican Party to speak of, no loyal opposition, just liberals and progressives. Second, there are precious few public offices. There are a total of 16 elected offices with substantial power: the mayor, the attorney general, one delegate to Congress, and 13 Council members. No governor. No senators. No two-tiered legislature. It’s essentially a closed system with a rock-hard ceiling. Third, the mayor and Council members run on staggered, four-year terms. Half of the Council members who might endeavor to run for mayor would have to give up their seat. That’s a disincentive, for sure. Despite statehood activism and dogma, it does not seem likely that Congress will vote to make D.C. a state, which would give us a voting House member and two senators. And we have no need for a governor. If the District wants to increase the number of elected officials, there’s one choice: double the number of Council members below the chair from 12 to 24. Why not give aspiring politicians more opportunity and voters more choices? Adding members would make the Council more unruly, but democracy was never meant to be staid. Seen the British Parliament recently? And we would be much less likely to have a mayor go unchallenged. That’s not good for anybody, even the mayor.